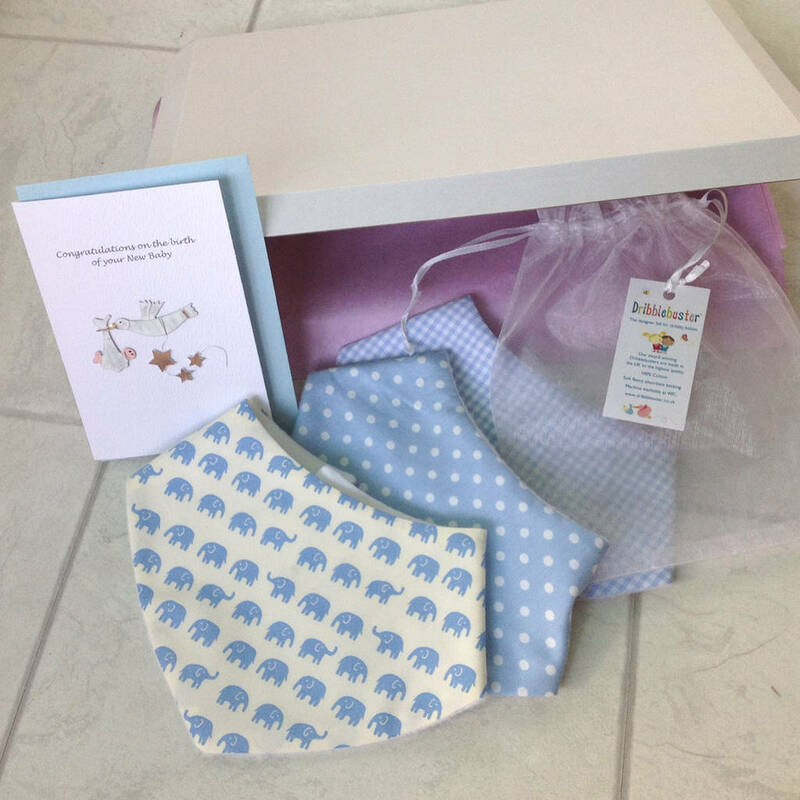 Beautiful gift set in a box of 3 dribble bibs in different designs with baby Congratulations card with blue envelope. Can be sent direct. 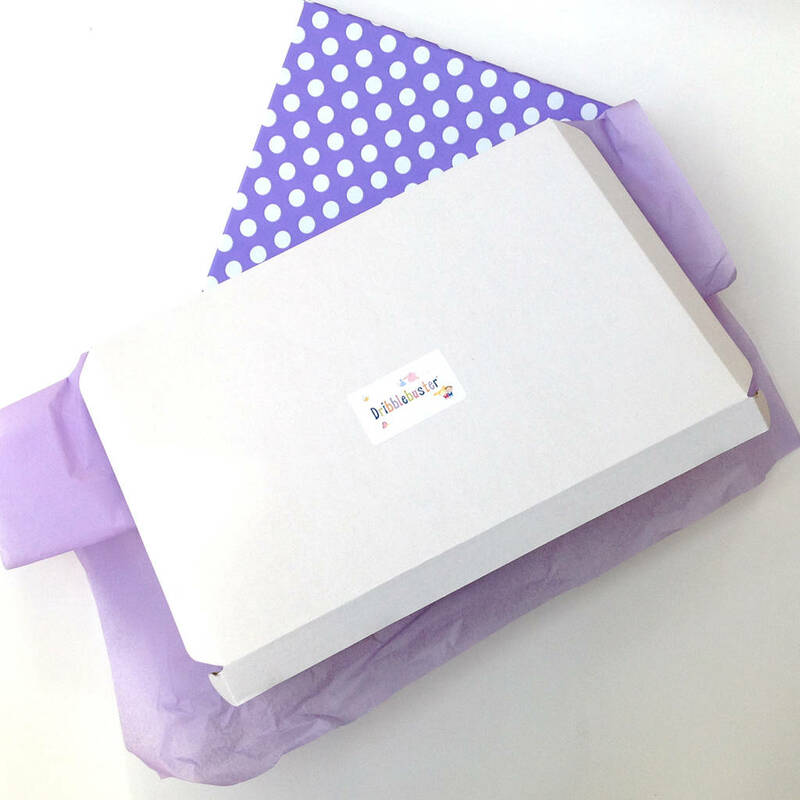 This lovely baby gift set of 3 quality bibs in a muslin bag and baby congratulations card is wrapped in lilac tissue paper and packed in a box. This can be sent direct if required. 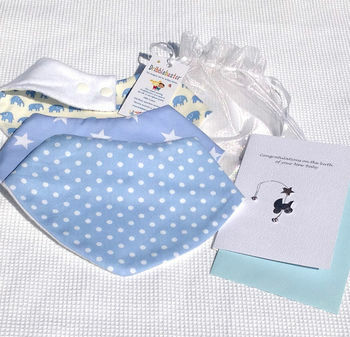 The bibs comprise of 1 blue with white stars, 1 blue with white spots and 1 cream with blue elephants. They are made from excellent quality thick cotton and have a soft absorbent backing ideal for those early milk spills and later on to catch dribble. 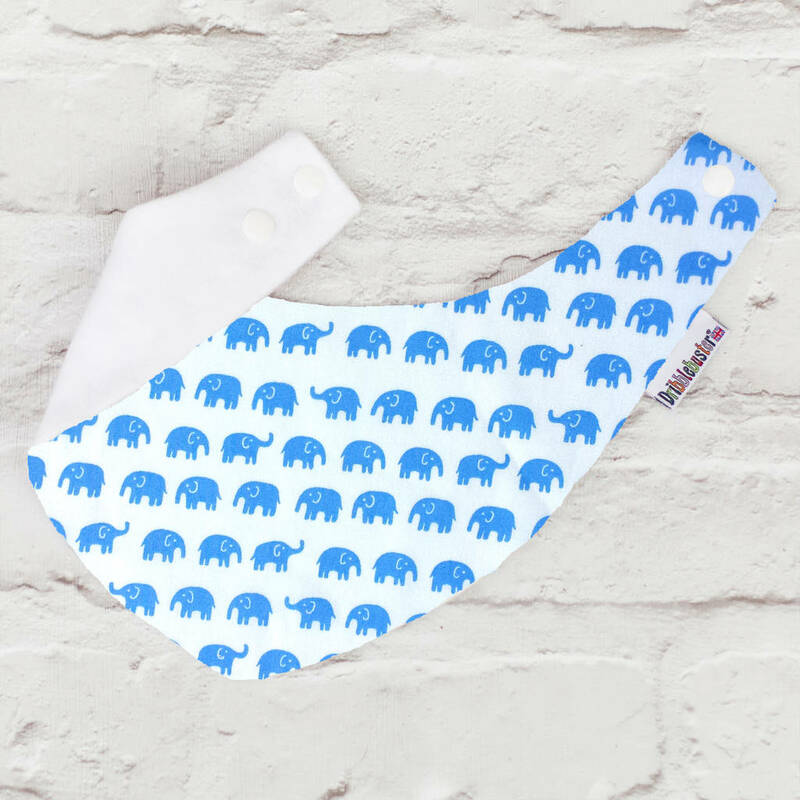 The bibs come high around baby's neck to avoid spills dribbling down and to keep baby dry. 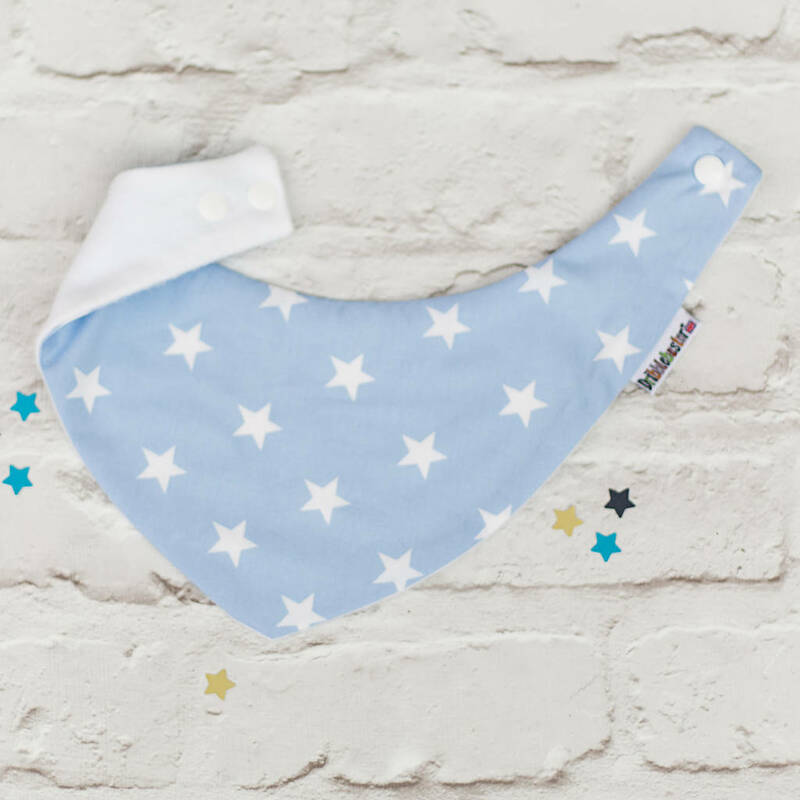 Dribblebuster bibs are award winning and loved by Mums. 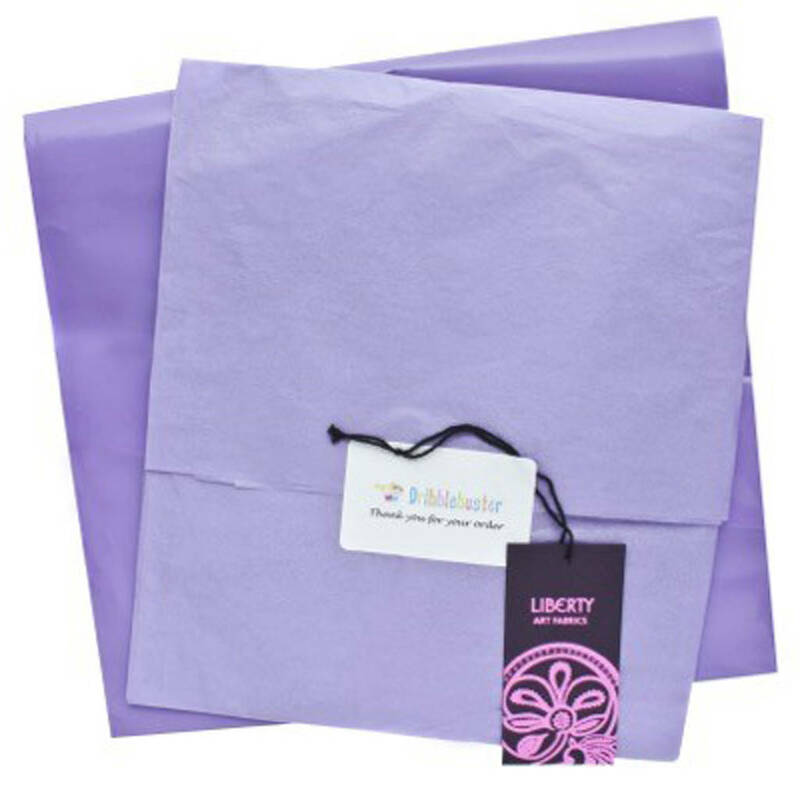 100% cotton with soft absorbent backing. This product is dispatched to you by Dribblebuster.